Doin’ it well… – …STILL CRAZY AFTER ALL THESE YEARS! …started off as a dim sum place with chefs specially brought in from China and yes, we did frequent it quite a lot then. When those guys had left, the local ones took over – there were not that many selections available after that but yes, there were the usual delights and enough choices for a good dim sum breakfast…and sometime later, probably the result of a change in ownership or something, I wouldn’t know, they ventured into shabu shabu/steamboat as well, upstairs on the 1st Floor and we did go for that once. 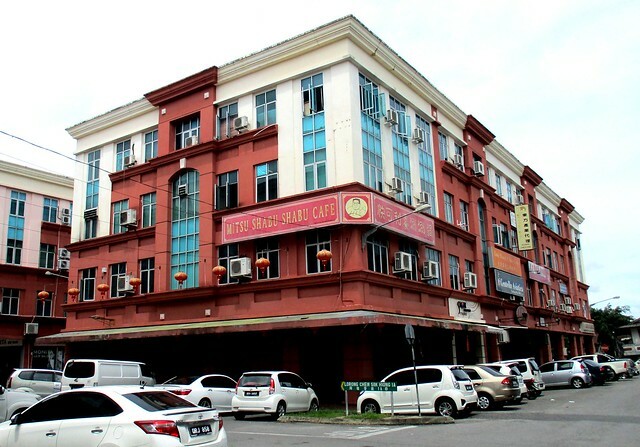 The last time we dropped by, we had the dim sum and I also tried the kampua noodles with slices of ang chao (the residue from the making of our traditional Foochow red wine) pork and yes, I thought it was very good – I did enjoy it that day. 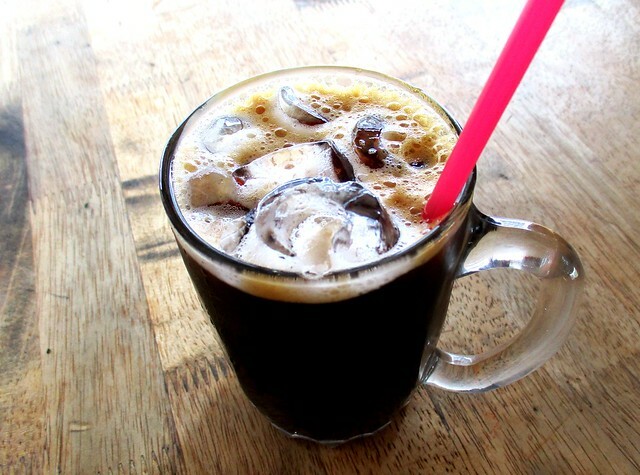 …I had was very nice and I sure would not have any second thoughts in ordering my usual kopi-o-peng (iced black coffee) here again the next time I drop by. They also gave some fried tofu and pickled cucumber by the side and I loved the plating, right down to the heart-shaped rice. Somehow when the presentation is pleasant to the eye, one seems to enjoy eating one’s order more, what do you think? 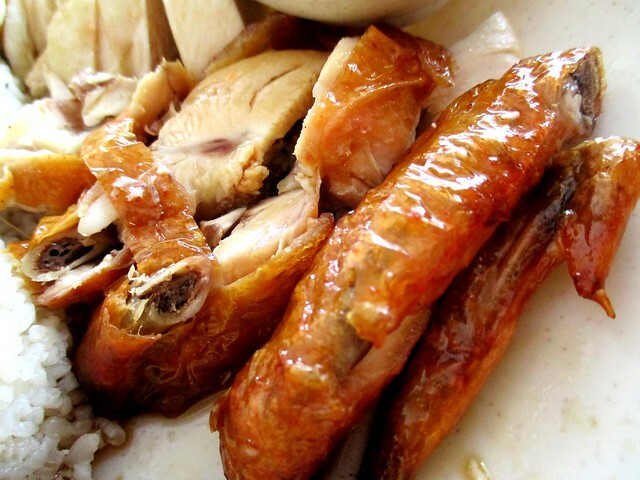 The chicken rice was very nice – I would say it can rank among the best in town and I sure would love to drop by here again for more. So cute that they served a heart-shaped rice for you. Was it valentine’s day when you ate there? I have never seen a heart-shaped chicken rice here. No, it wasn’t Valentine’s. Good to be different though – they probably used some heart-shaped jelly mold instead of a bowl like what they do at other places. Always nice to be different, a delightful change from the mundane usual things that all the others would do. 😀 I know you love chicken! Roast or steamed chicken, both I like. The chilli dip plays an important part in chicken rice too. 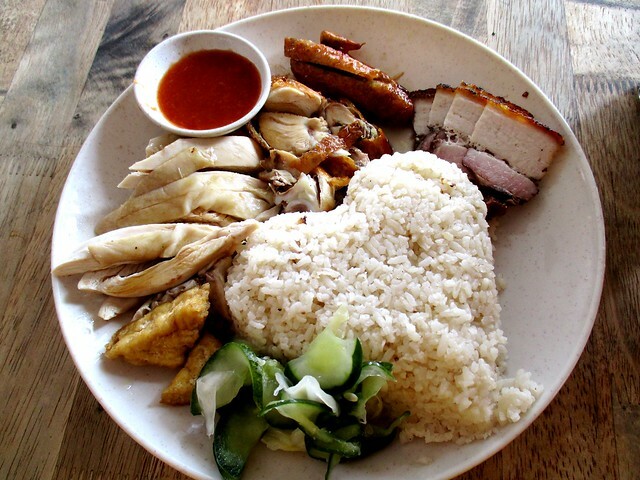 Ermmm…heart shaped chicken rice, 1st time seeing it. My first time too and I was somewhat amused. Hehehehehe!!!! 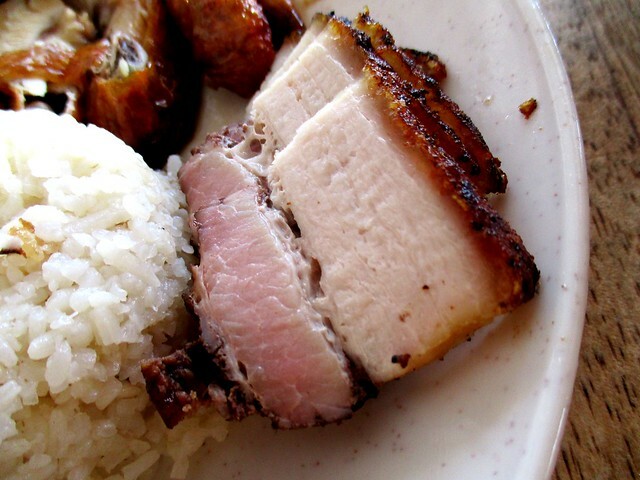 Oh my, the roast pork looks so succulent. Like my girl…and I guess I’m more inclined that way too. Just ordered to give it a try. The chicken and roast pork look good. 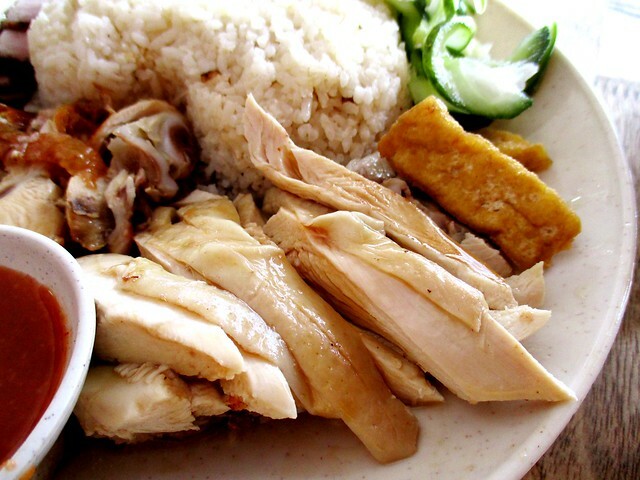 Certainly nice to be different, never seen a plate of heart-shaped chicken rice! And free fried tofu? Not in KL. The only one in town, and the pickled cucumber too. Most places here, they’d just give you a few cucumber slices and that would be it. Can see from your photos. That chicken rice looks good. Especially the crispy roasted chicken. All good, just that I was wishing they would give a little bit more of the roast pork, don’t mind forking out RM8.00 for all that. 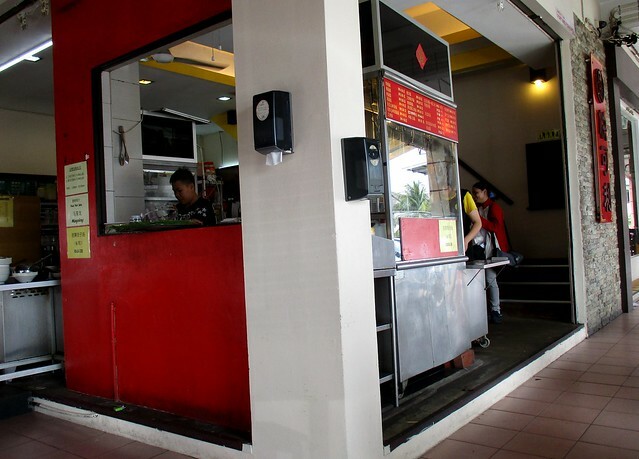 Wahhh..indeed a very fulfilling meal for RM7… must go again and again if I were you. 🙂 Somemore, presentation is also very properly done.. I would have to, my mum is still at the medical centre, not about to be discharged yet and it’s very convenient to just walk here and eat. Same here. The four measly pieces left me craving for more. Next time, I would just order the rice and the sio bak. Pingback: This is not the first time… – …STILL CRAZY AFTER ALL THESE YEARS! Pingback: How you like it… – …STILL CRAZY AFTER ALL THESE YEARS! Pingback: Fixing a broken heart… – …STILL CRAZY AFTER ALL THESE YEARS!